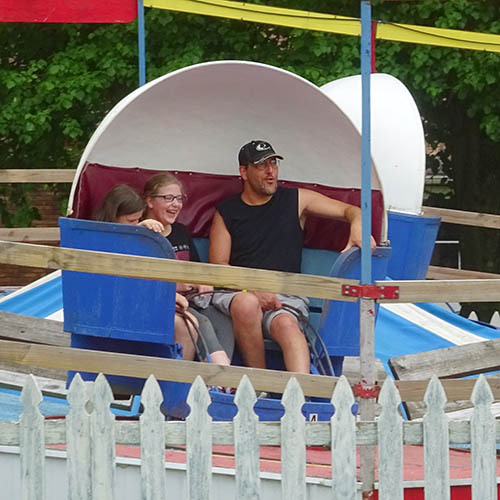 Old-fashioned American lakeshore amusement park featuring classic rides including the 1938 Blue Streak wooden rollercoaster. 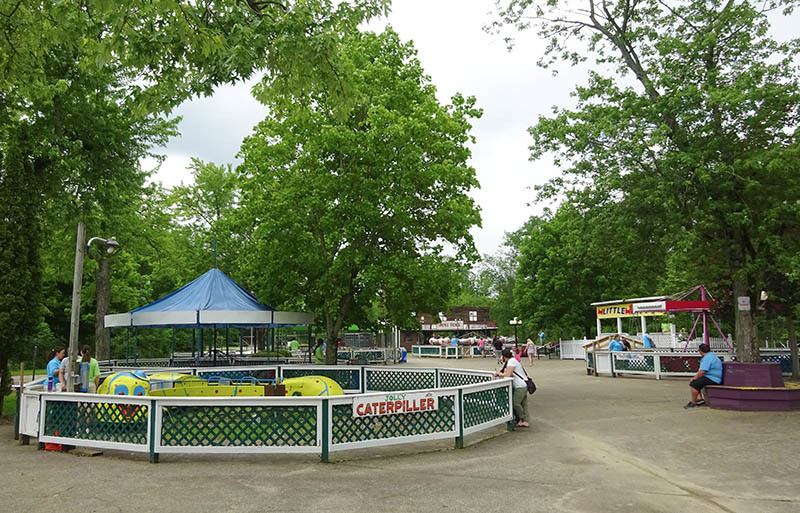 Trustees of Conneaut Lake Park, Inc.
Conneaut Lake Park is a traditional amusement park founded in 1892, and rooted in the community it serves. It has had a chequered history, a grand lakeshore resort in its heyday which has overcome several fires, but has succumbed to financial problems in recent years. 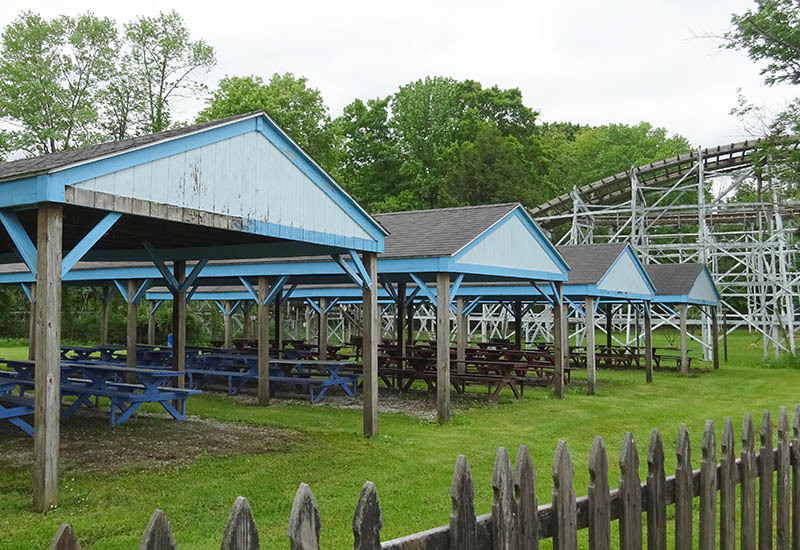 Although a shadow of its former self, it remains a picture of rural Americana and features a selection of vintage rides headlined by the classic 1938 Blue Streak wooden rollercoaster. 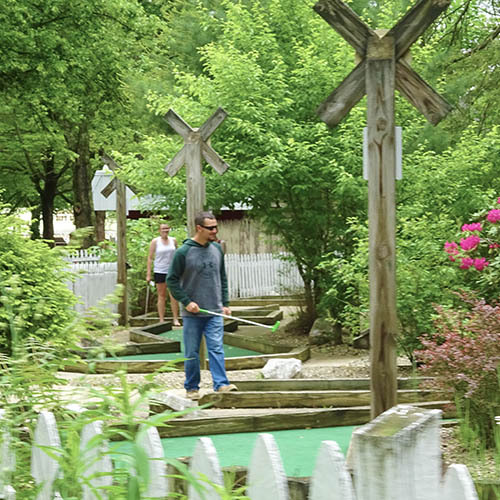 Today's park grew out Lynce's Landing, a lakeshore resort started by businessman Aaron Lynce in 1877 on the banks of Pennsylvania's largest natural lake. 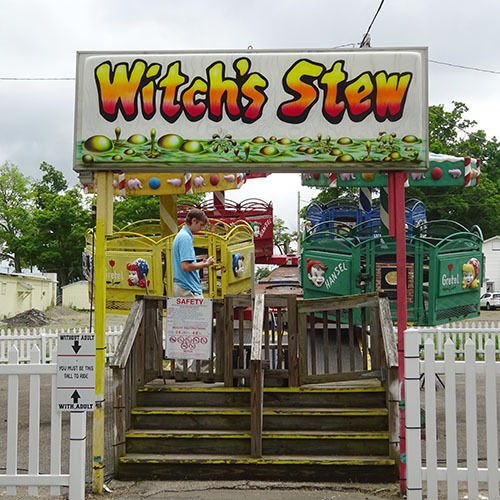 This offered boat landing, picnicking, horse stabling and a dance hall. In 1892, Col Frank Mantor attracted investors from the Bessemer and Lake Eric Railroad who extended their railway to the resort. He opened Exposition Park with restaurants, shops, the first amusement rides, hotels and a bath house. Trains only ran at weekends, so people would come to the resort and stay for a week. 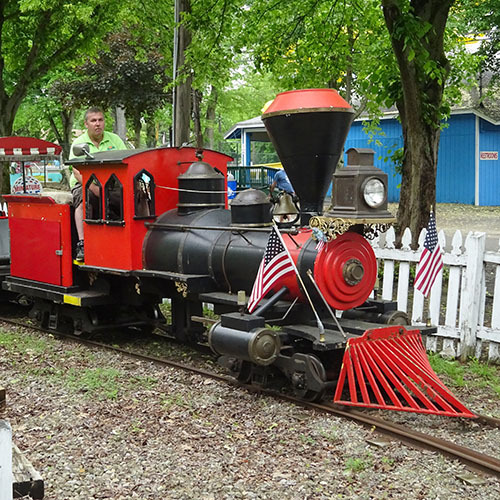 Rail travel to Conneaut Lake continued up until 1971. Following a large fire that destroyed half of the park in 1908, the midway was enhanced and more rides were gradually added. 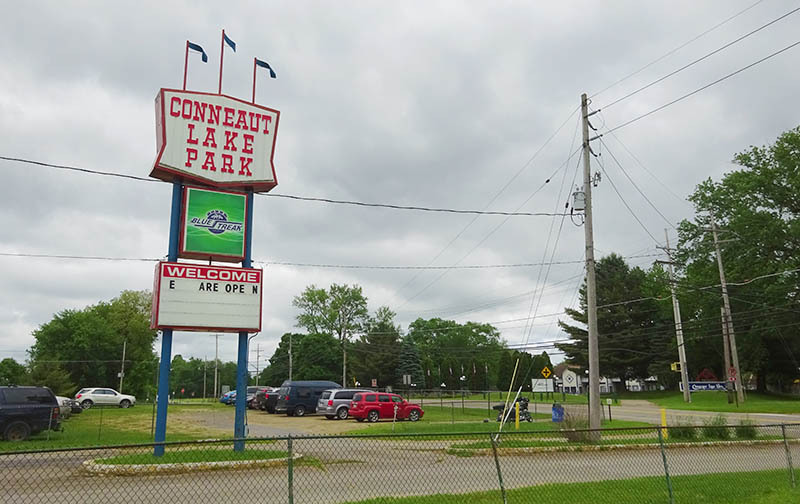 Moving away from its lakeshore resort focus and turning into an amusement park, it was renamed Conneaut Lake Park in the 1920s. The park suffered financially in the Great Depression and was purchased in 1933 by new owners for $35,000 to free it from bankruptcy. 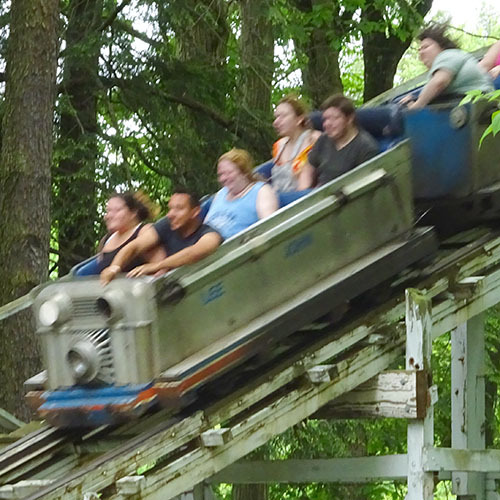 They invested heavily in the park, adding a new nightclub, boardwalk, and the Blue Streak rollercoaster. Ownership changed again in the 1940s, with a new management team which included Dr Harry Windslow. 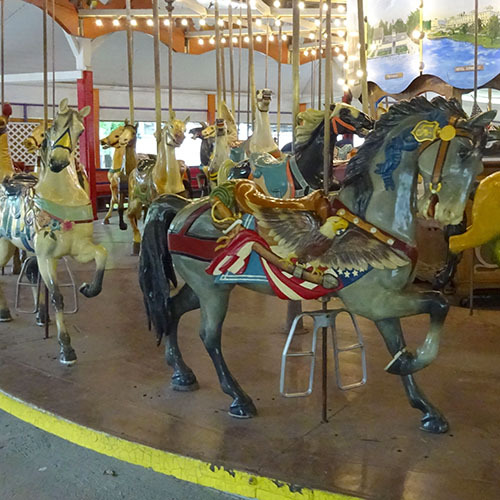 Under their direction, attractions such as Kiddieland and Fairyland Forest were added. In Fairyland Forest, guests encountered scenes such as Ali Baba, Red Riding Hood and Noah's Ark. They could also visit live animals including deer, mountain goats, prairie dogs and monkeys. 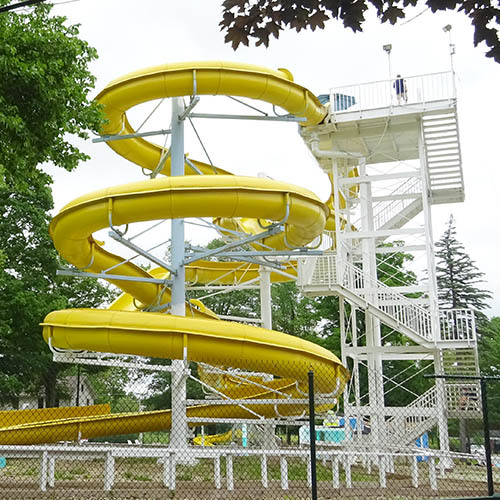 It was closed in 1985 and is now the site of Camperland, a campground across the road from the park's front entrance that was upgraded in 1990. Control of the park passed through two generations of the Windslow family, before being handed to Charles Flynn on the death of his mother in 1981. 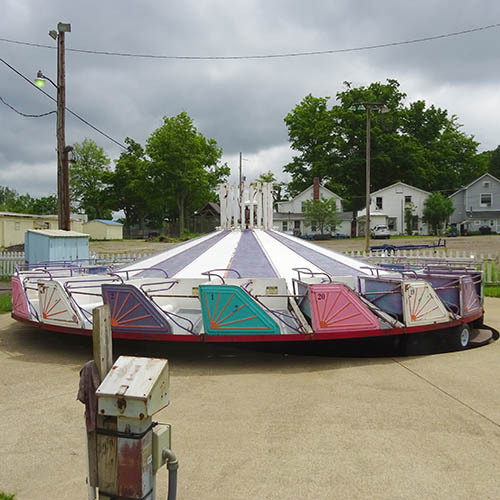 A number of bad decisions and the changing amusement park market caused much decline in the fortunes of Conneaut Lake Park throughout the 1980s and early 90s, resulting in Flynn's attempt to auction off much of the park in 1992. 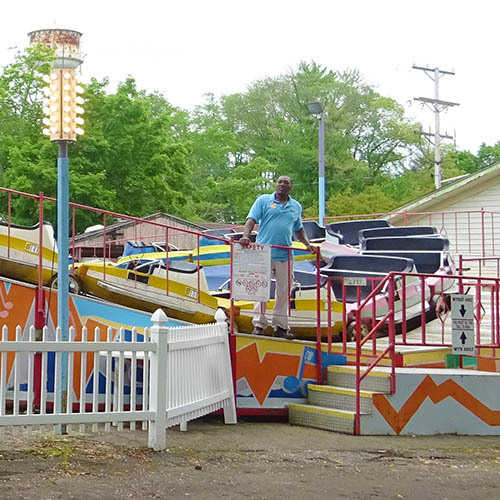 The community stepped in, with seven local businessmen buying the majority of rides at auction, together with the rest of the park. 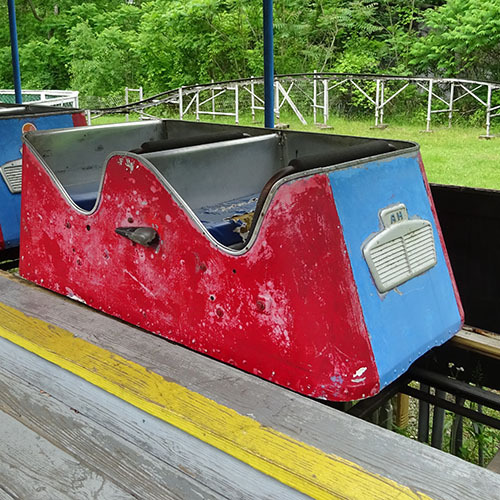 Unfortunately they were unable to make a profit either and, following the failure to open at all in 1995, Summer Resorts Inc. purchased the park in 1996 for $2million. But they too had financial problems, and the park was donated to the local community. 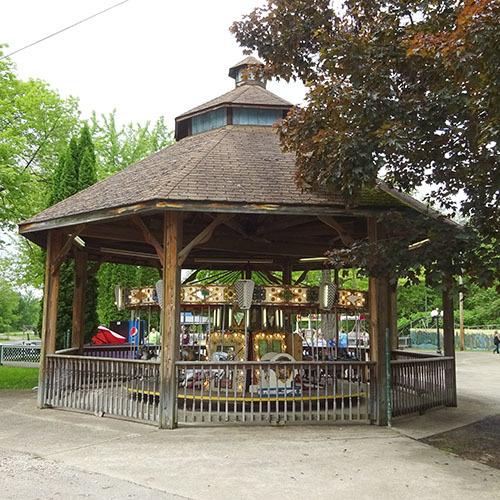 Conneaut Lake Park is now a public trust, run by a board of trustees on behalf of and for the benefit of the people it was originally built to serve over 100 years ago. 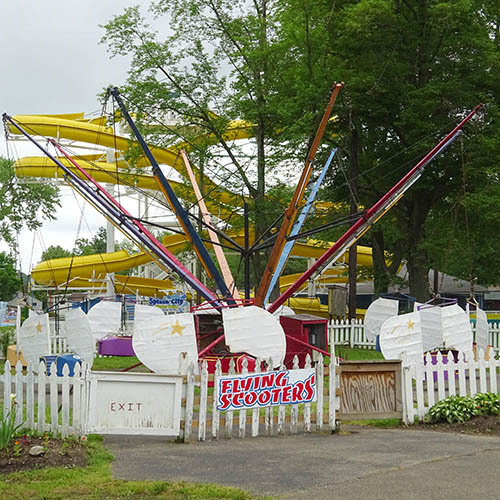 Today's Conneaut Lake Park offers a small collection of largely vintage rides spread across its tree-lined midway and side streets. 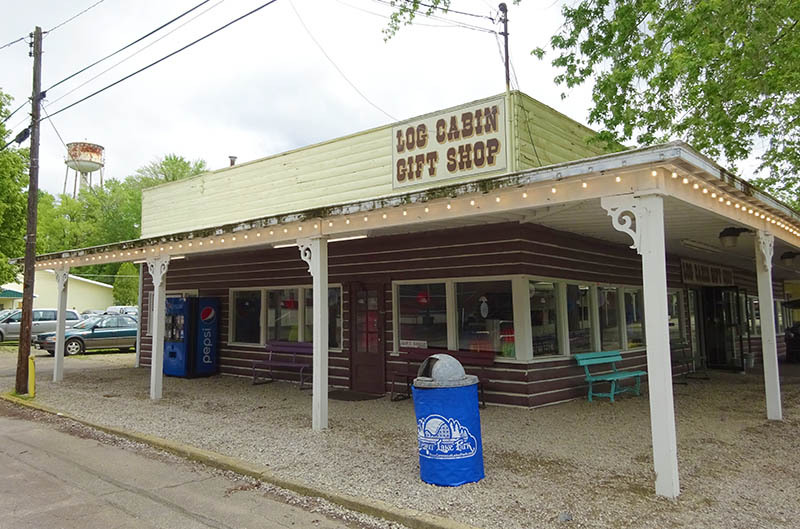 It sits amongst over 100 private residences and other public buildings which make up the town, and its free entry policy encourages locals to come and sit in the park or bring food to eat in its shady picnic shelters. 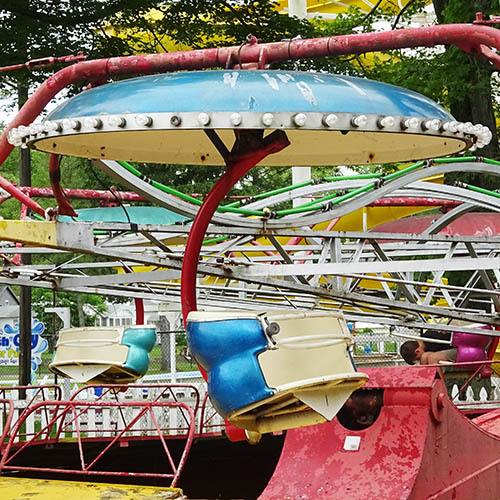 It is obvious that the park doesn't have much cash to spend on upkeep, but it is also clear that it does its best to keep the old American amusement park feel alive. 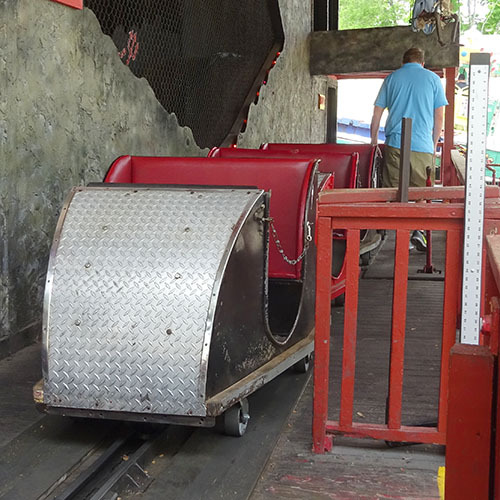 It is definitely worth stopping off for an hour or two to experience the park and its classic amusements. One gets the feeling it may not be around forever, so take the chance while you can. 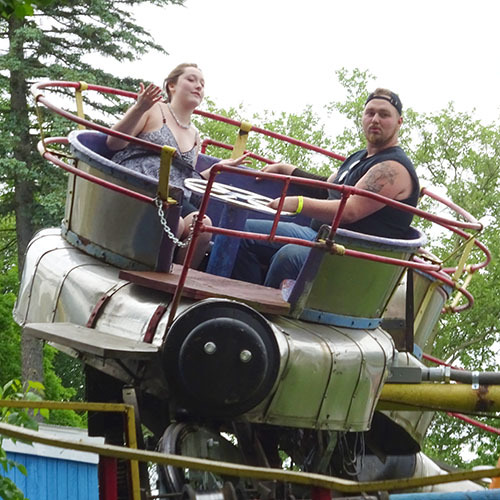 Paratrooper flat ride from Frank Hrubetz and Co, Inc.